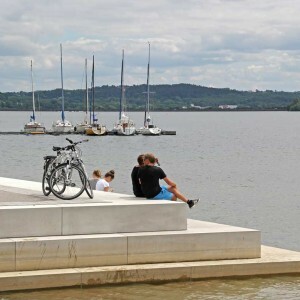 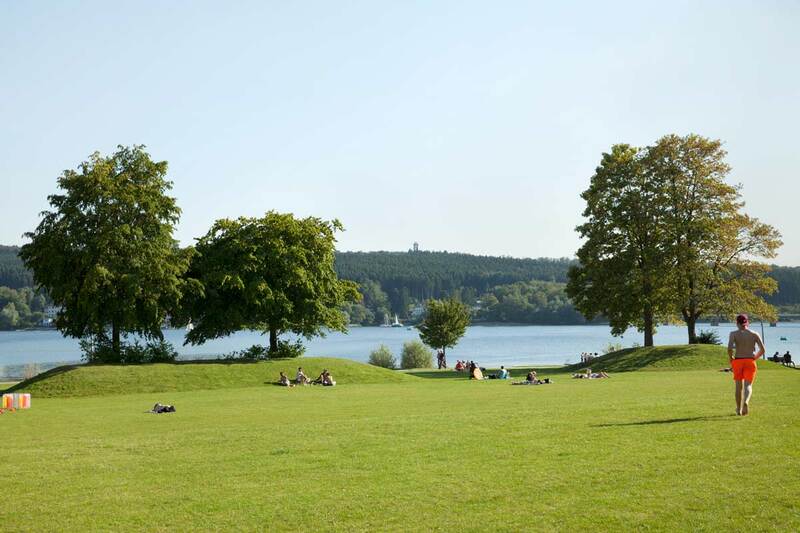 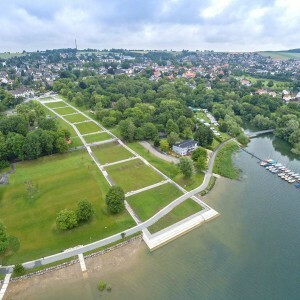 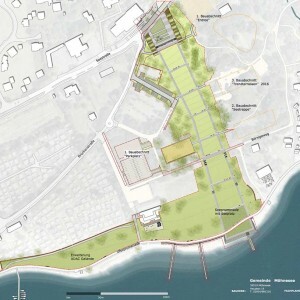 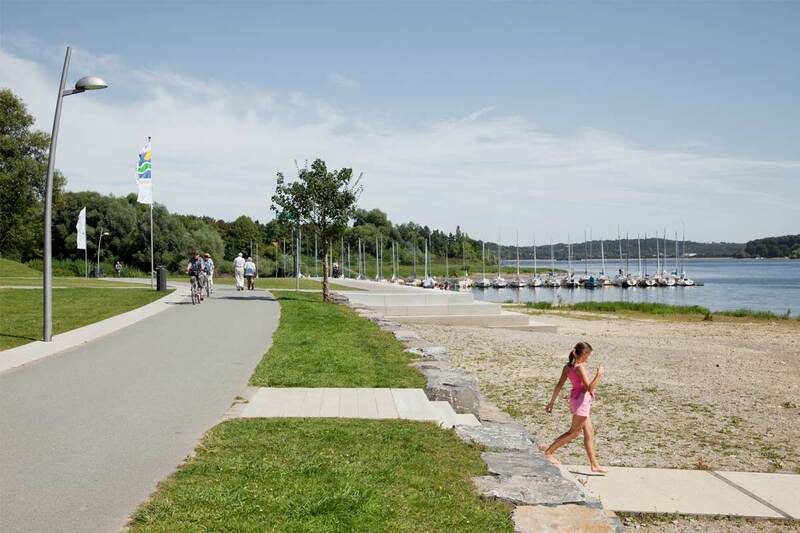 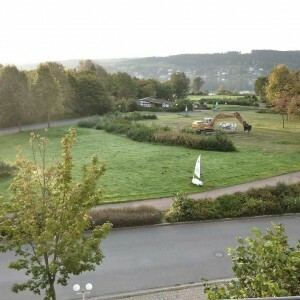 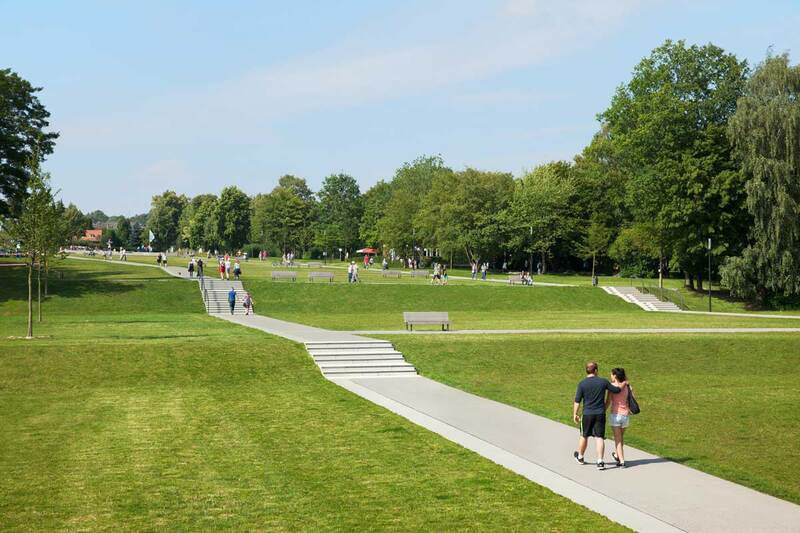 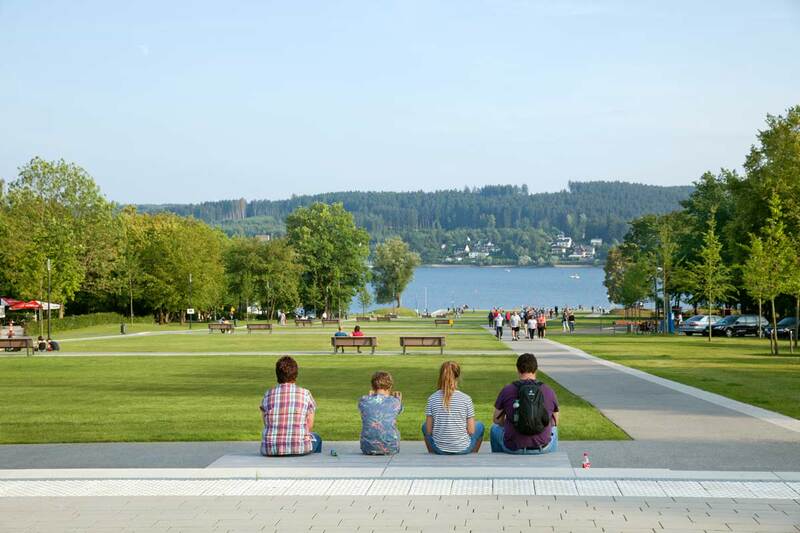 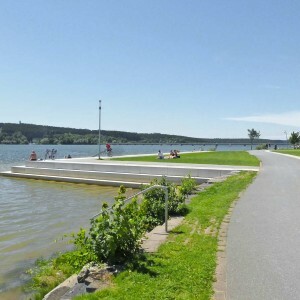 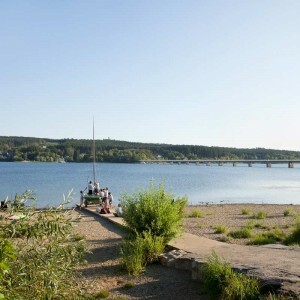 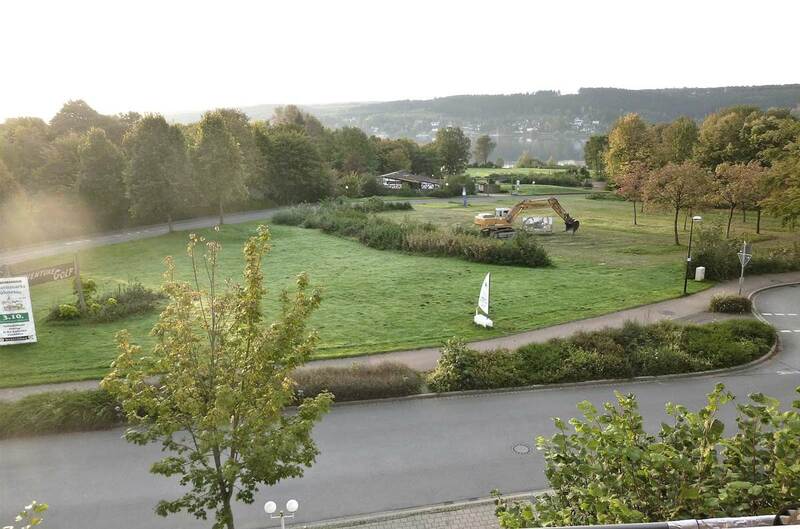 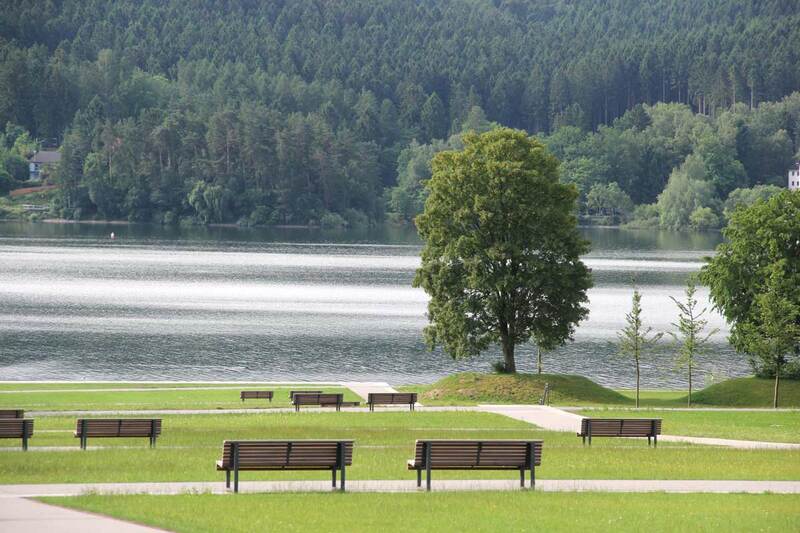 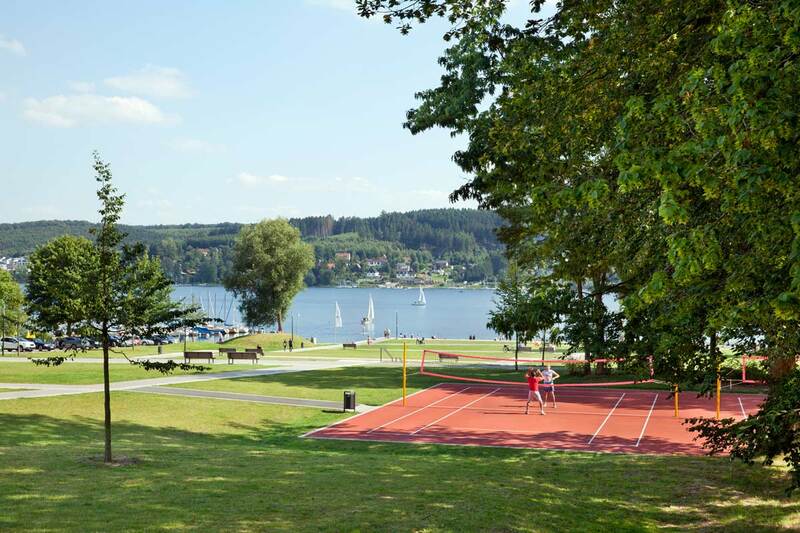 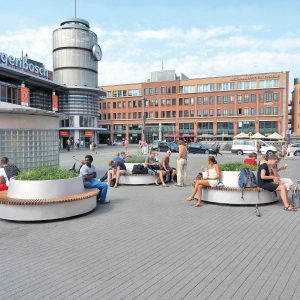 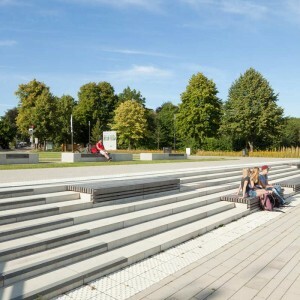 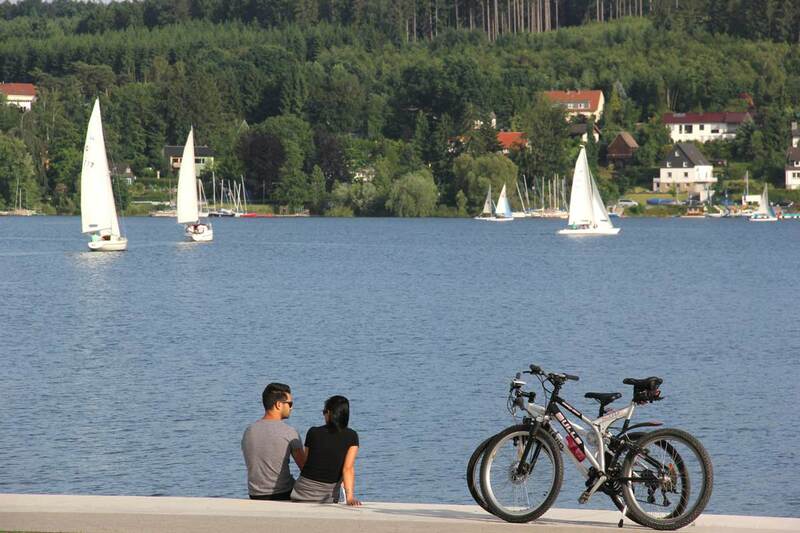 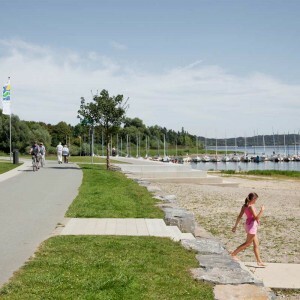 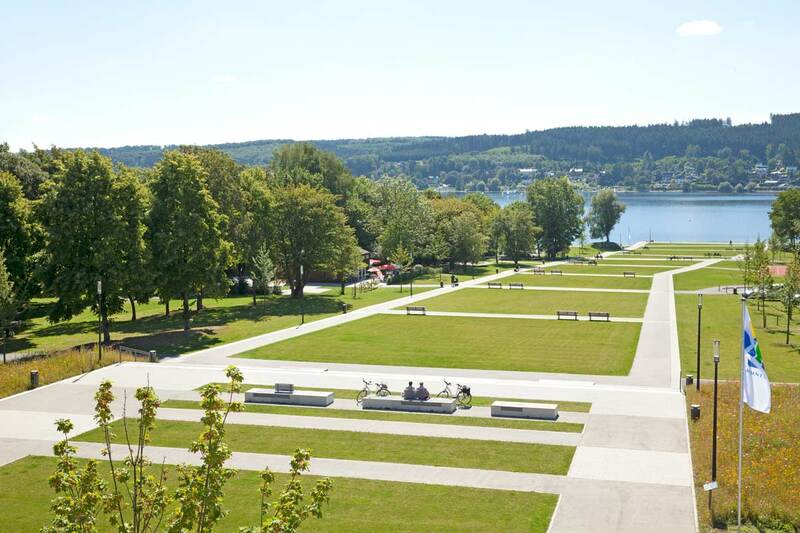 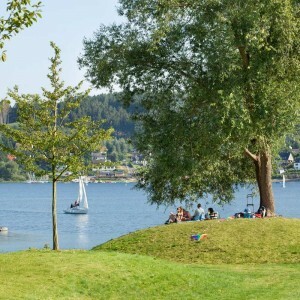 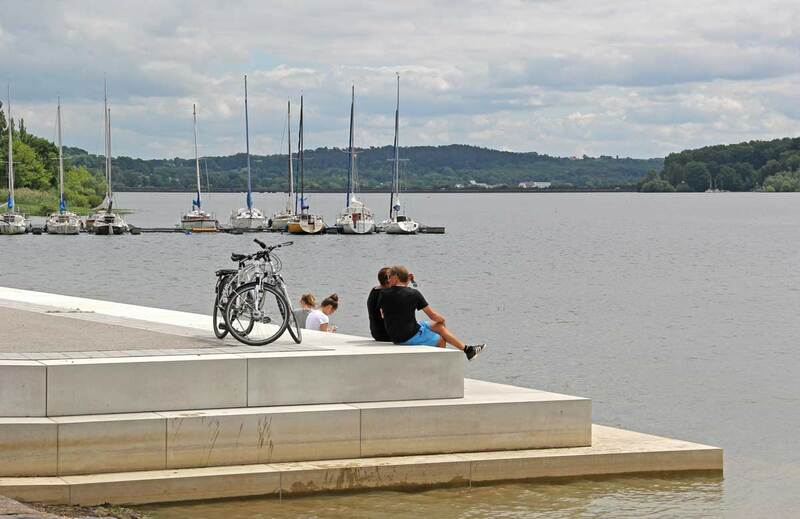 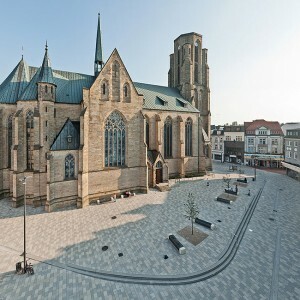 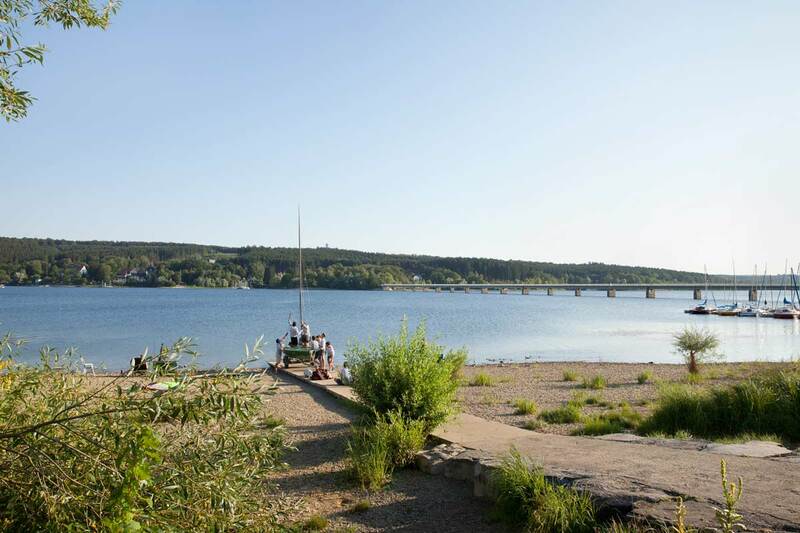 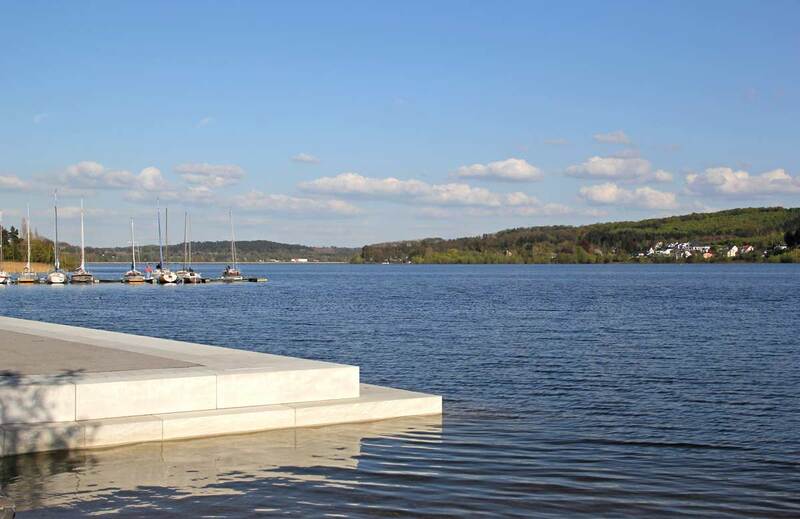 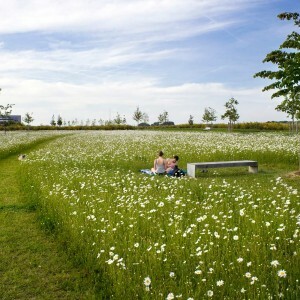 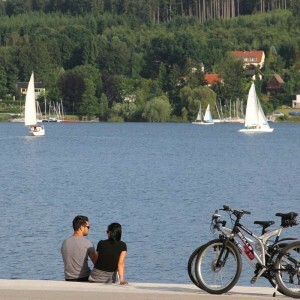 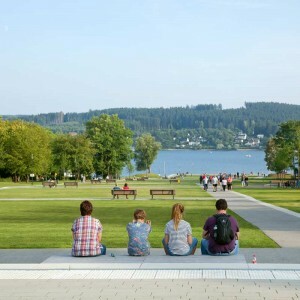 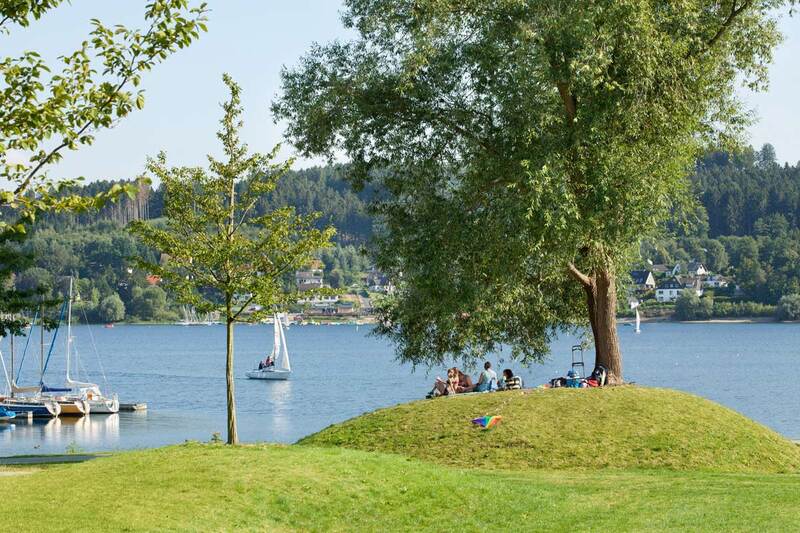 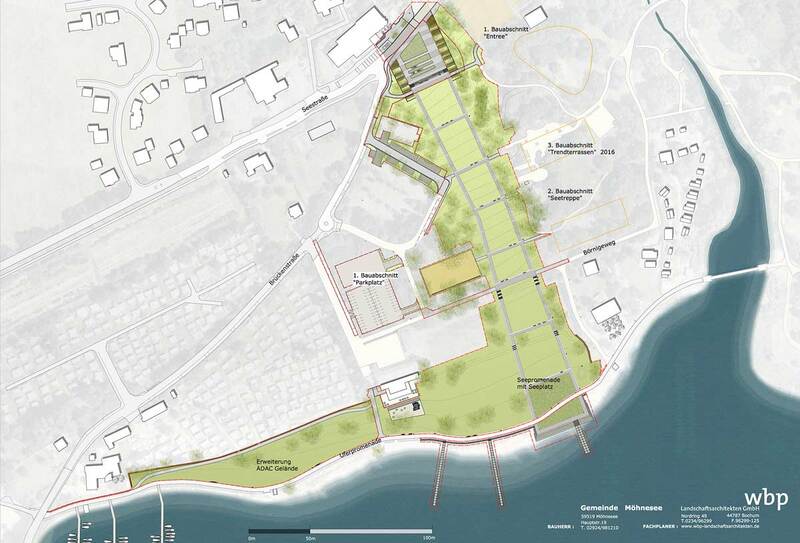 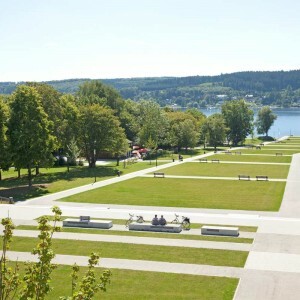 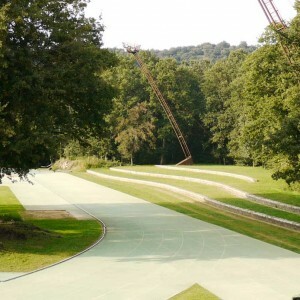 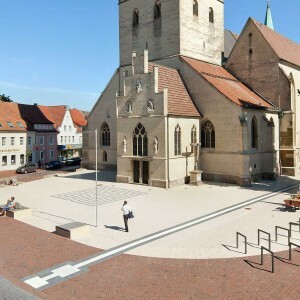 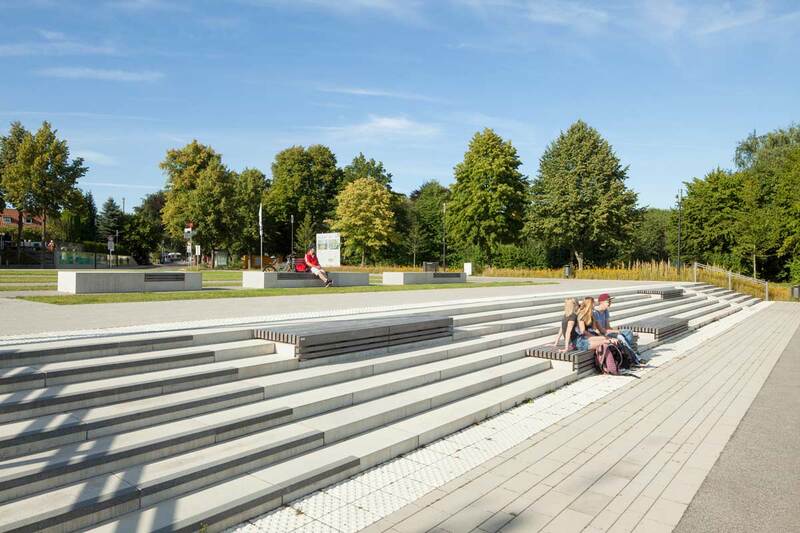 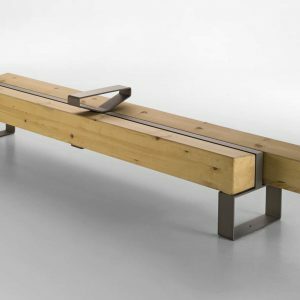 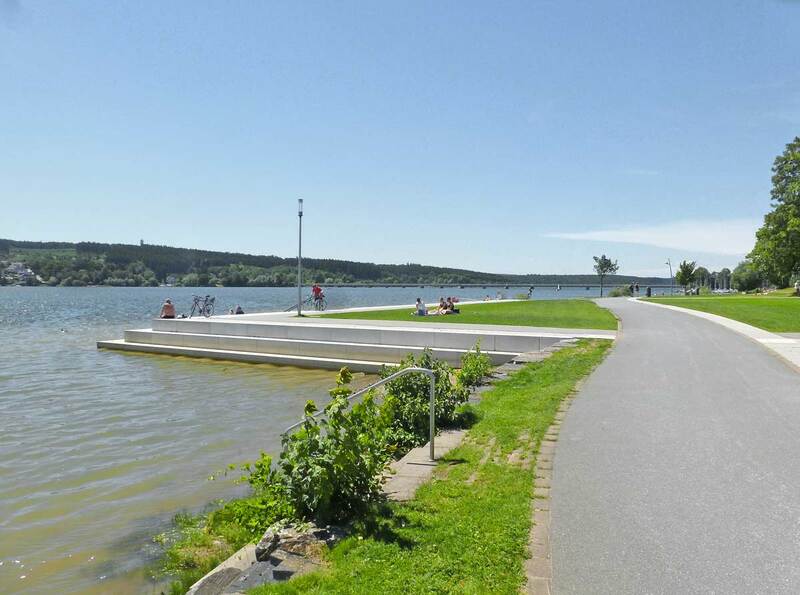 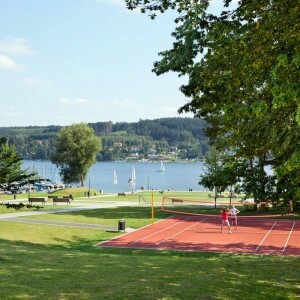 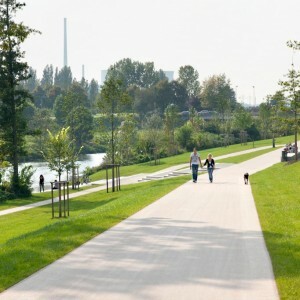 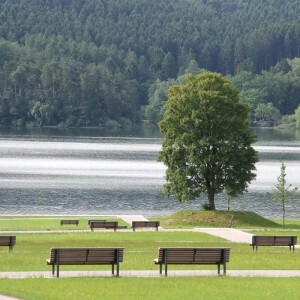 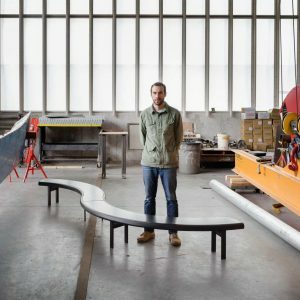 wbp landscape architects: In 2012, wbp landscape architects won the competition for the seaside Möhnesee with the connecting park between town and lake. 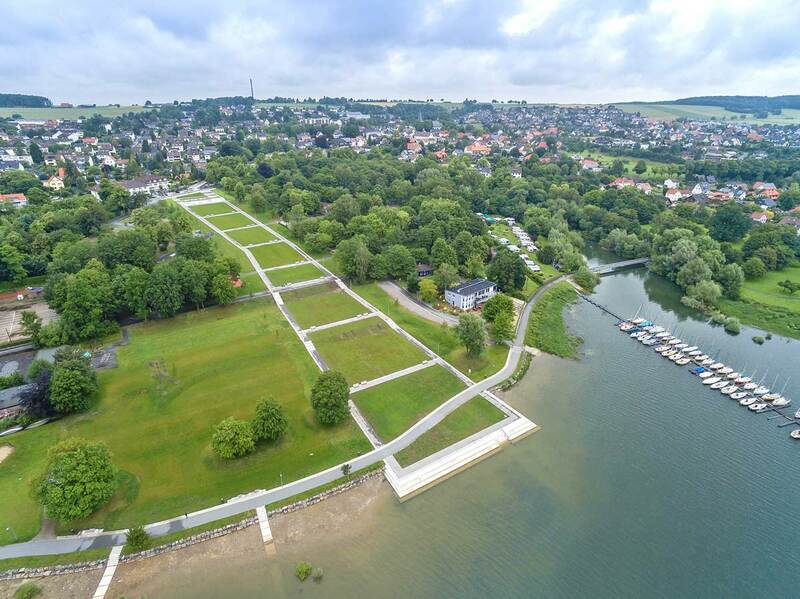 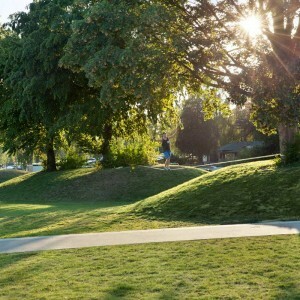 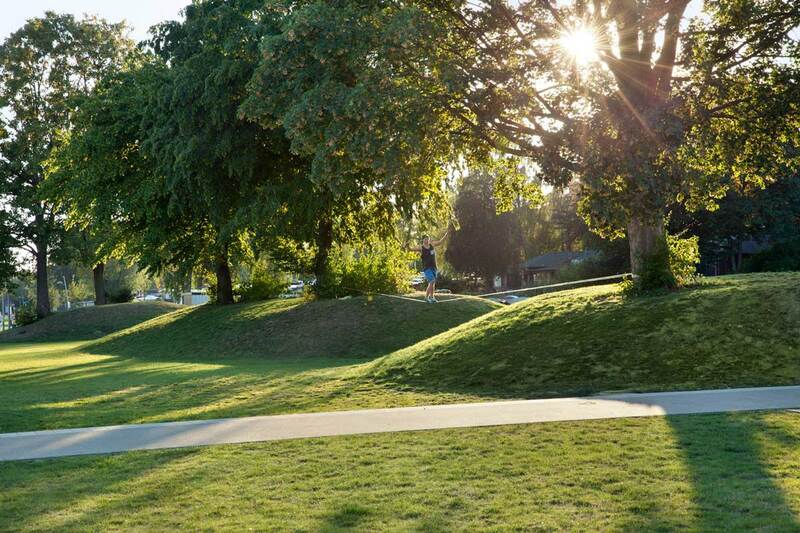 In 2016 the park is distinguished by a clear structuring – through distinctive entrances and transitions to the location, through attractive views and links to the lake, as well as by a good zoning and functional furnishing of different quality areas. 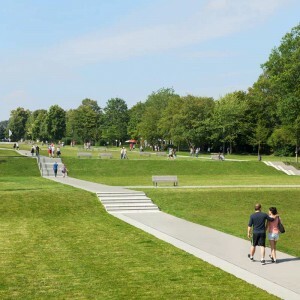 The topography plays a special role in terraces with different usage zones. 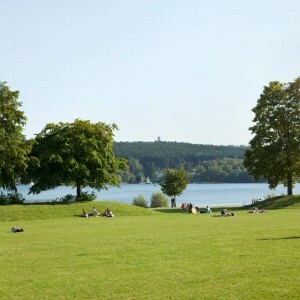 There are a lot of possibilities down to the lake to play or to linger on the lawn. 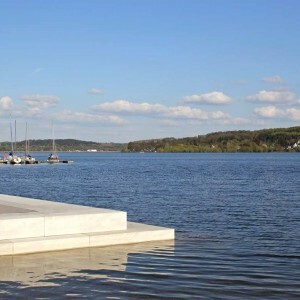 Depending on the water level, the lake stage, which projects into the lake, offers a special area directly at the water.